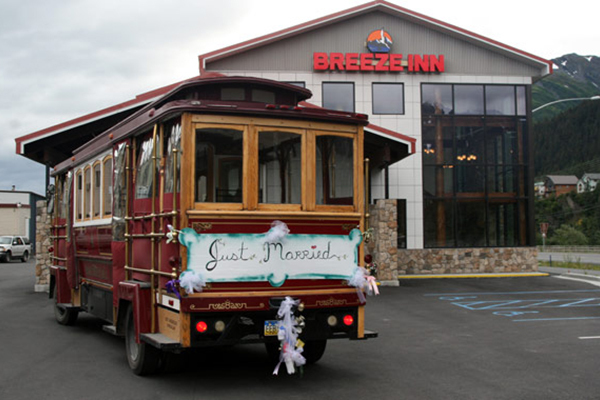 The Breeze Inn offers the most comprehensive meeting and conference facility in Seward; your single source for everything you need. 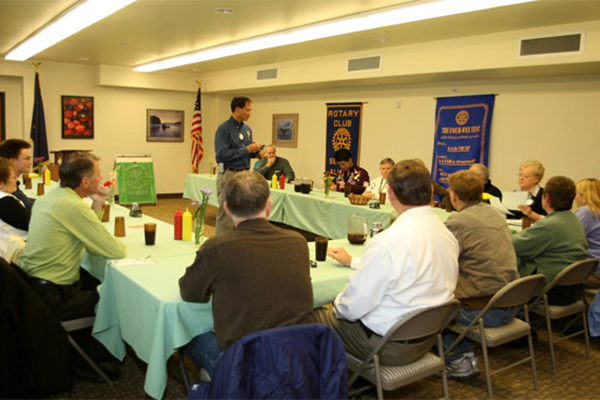 Our two meeting rooms can serve your group up to 100 people. Our attractive mezzanine, featuring Alaska Spruce timbers and magnificent view out the three story atrium glass, is a great place for networking or social events. Our extensive food & beverage facility can produce everything from an outdoor barbeque at your location, to plated Alaska King Crab and fresh Resurrection Bay Halibut. Our Mt. Marathon Conference Room measures 33' by 18', with a 9' ceiling. The Mt. 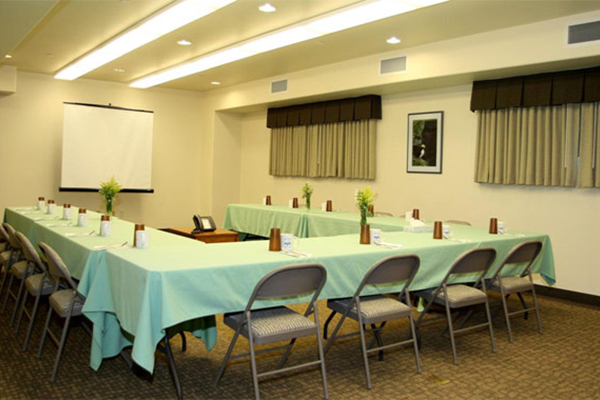 Alice Conference Room measures 39' by 19', with 9' ceiling.